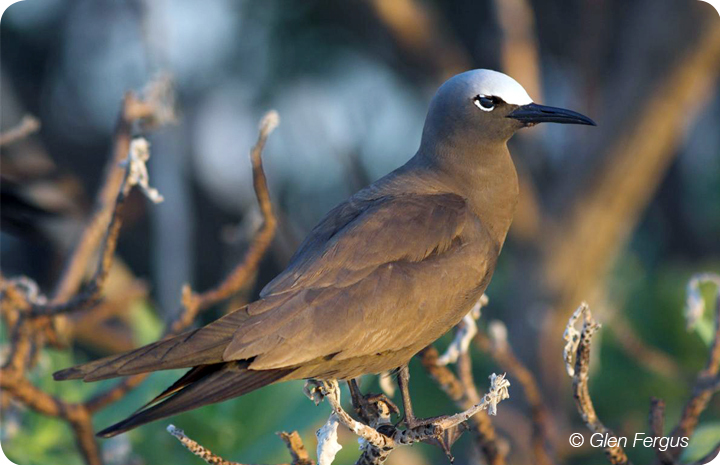 Brown Noddies are named after part of their mating rituals. Male birds nod and bow to females, then feed them. Noddy nests are constructed of twigs and seaweed, with shells and coral bits forming the interior. These birds nest in the Dry Tortugas, a group of small islands about 65 miles west of Key West, which is the only place in the US to see them reliably. More than 2,000 pairs nest there, and when the nesting season is over and the chicks have left the nest, the whole colony moves off in just a couple of days.